The Supreme Court has set aside the Himachal Pradesh High Court order by which the latter had dismissed the plea of IFS officer and former AIIMS CVO Sanjiv Chaturvedi seeking quashing of the defamation complaint filed against him by IAS officer and Himachal Pradesh Chief Secretary Vineet Chawdhary. 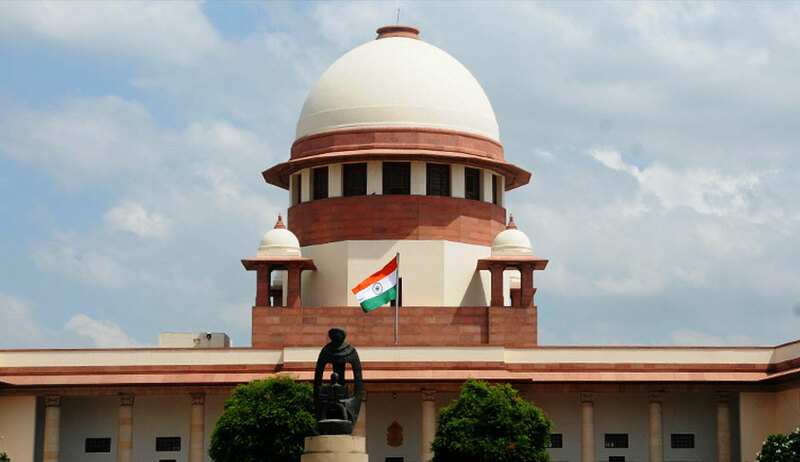 The apex court bench of Chief Justice Dipak Misra, Justice AM Khanwilkar and Justice DY Chandrachud found that the order passed by the high court was sans any reasons and remanded the matter back to it for passing a reasoned order. “On a perusal of the order passed by the high court, we find that the learned single judge, except stating that he is not inclined to interfere in the petition under Section 482 CrPC seeking quashing of the complaint, has not adverted to any aspect. Be it noted though the submissions have been referred to in the impugned order, the same have not at all been addressed. “In view of the aforesaid, we think it appropriate to set aside the impugned order and resend the matter to the high court for fresh consideration and pass a reasoned order in accordance with law,” the apex court ordered. Chawdhary was charged for his alleged role in cases of corruption such as grant of construction contract running into crores of rupees unearthed by Chaturvedi during his deputation to AIIMS as the Chief Vigilance Officer. It is to be noted here that the Union Health Ministry has closed graft cases against Chawdhary and a petition filed against the same by NGO Centre for Public Interest Litigation is pending before the Delhi High Court. Vineet Chawdhary, former AIIMS Deputy Director, had filed a complaint against Chaturvedi alleging defamation for making public Vigilance profile against him and a confidential letter written by him on August 16, 2014 in his capacity as the Chief Vigilance Officer of AIIMS to the Chief Secretary, Himachal Pradesh, giving information about pending corruption/departmental inquiries/proceedings against Chawdhary. Chawdhary objected to the publication of the confidential letter in media while Chaturvedi, who is presently posted as Conservator of Forest (Research) Haldwani at Nainital, Uttarakhand, claims he is not responsible for its circulation. On Chawdhary’s complaint, the court of Additional Chief Judicial Magistrate, Shimla, issued process against Chaturvedi on November 24, 2016 to face trial. Chaturvedi approached the Himachal Pradesh High Court seeking quashing of this order and also the complaint filed against him while submitting that he has been summoned to face trial without there being any evidence of his involvement in circulating the confidential letter. He also contended that the ACJM did not deal with the issue of prior sanction, and the complainant has only alleged that he is guilty of circulation of Vigilance profile and that the complaint does not disclose any cognizable offence. The high court, on April 6, held that any interference with the order of ACJM by which process has been issued would be unwarranted at this stage. “This Court is not inclined to interfere in the present petition so filed under Section 482 of the Code of Criminal Procedure, seeking quashing of criminal Complaint bearing No.26-02 of 2016, pending before the Additional Chief Judicial Magistrate, Shimla and order dated 24.11.2016 whereby the process has been issued against the petitioner, more so for the reason that it is open for the petitioner to approach the Court concerned; enter appearance and take all such pleas at an appropriate stage. “It is not that petitioner is remediless and as such must first take recourse to the remedies in accordance with law. At this stage, any observation made, either way, may cause prejudice to the parties concerned and, as such, all issues are left open,” the order passed by Himachal Pradesh High Court Acting Chief Justice Sanjay Karol read. It was against this order that Chaturvedi had moved the Supreme Court through senior advocate Colin Gonsalves. In his SLP, Chaturvedi stated that being the Chief Vigilance Officer, AIIMS, he had highlighted several instances of corruption allegedly involving Chawdhary, who was then the Deputy Director at the premier medical institution. It was on his complaint that the CBI registered PE case against Chawdhary in January, 2014 regarding irregularities in works of engineering wing of AIIMS. On August 16, 2014 Chaturvedi, being CVO, AIIMS, sent an official ‘confidential’ letter to the Chief Secretary, Himachal Pradesh, giving information about pending corruption/departmental inquiries/proceedings against Chawdhary. A news report appeared in a Hindi daily on August 28, 2016, on the Vigilance Cell of AIIMS having sent a report of IAS Chawdhary to Himachal Pradesh Chief Minister. It was after this that Chawdhary filed a complaint of defamation against Chaturvedi.